Run time: 2 hr. 54 min. Synopsis: The Sound of Music (1965 – Rated G), starring Julie Andrews and Christopher Plummer in one of the most popular musicals of all time. 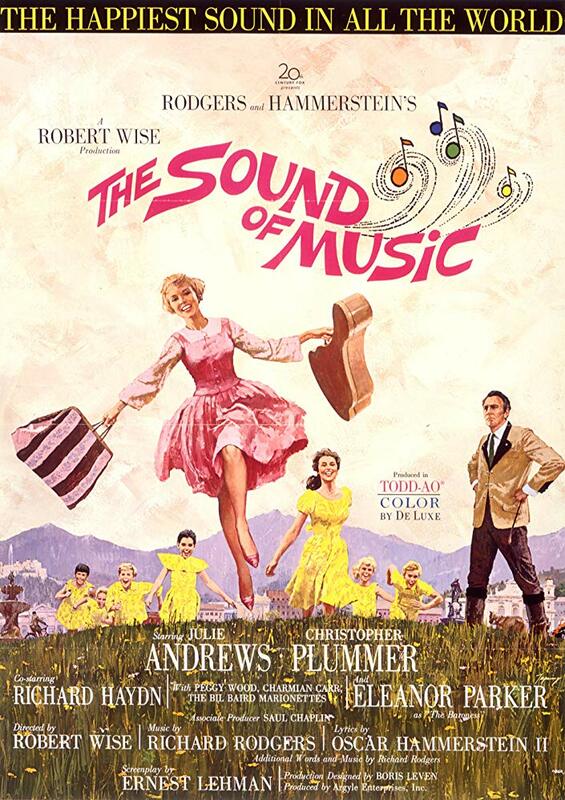 Nominated for ten Academy Awards and winner of five, including Best Picture, The Sound of Music is based on the true story of the Trapp family singers. Julie Andrews stars as Maria who becomes governess to Captain Georg von Trapp’s seven children, winning them over with her big heart and musical adventures. Set in 1938 in the gorgeous city of Salzburg agains the backdrop of the impending war, The Sound of Music features an absolute treasure trove of songs – My Favorite Things, Maria, Climb Ev’ry Mountain, Do-Re-Mi, The Lonely Goatherd, Edelweiss, and more. The Sound of Music plays Tuesday, April 9 at 7 PM and again Wednesday, April 10 at 1 PM.